Photograph: Courtesy Dave Jurasevich/Mt. Wilson Observatory Mount Wilson Observatory. 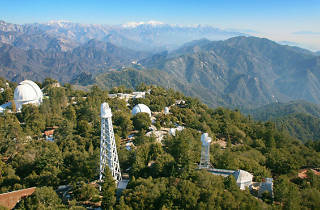 High up in the San Gabriel Mountains, the Mount Wilson Observatory affords terrific views of the surrounding region. If you're traveling with a group, you can book an after-dark session on the observatory's 60-inch telescope. 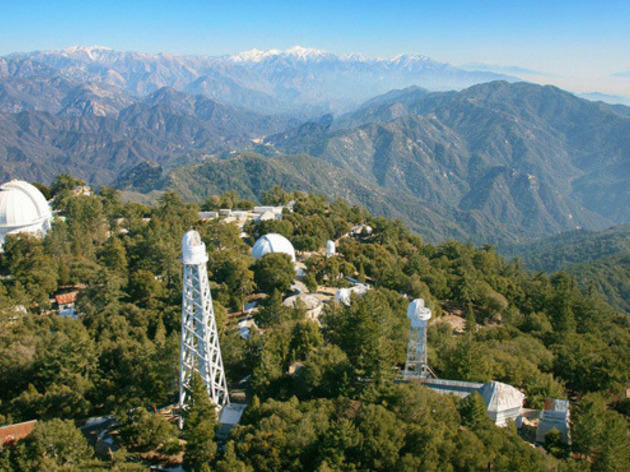 Admission is free, but you'll need to buy a Forest Service Adventure Pass in order to visit the site as it's located within the Angeles National Forest; see the website for full details. Apr-Nov 10am-5pm daily, weather permitting. I don't know what I love more, the drive up here or the destination. Both are unlike anything else in LA; the narrow, windy road hugs the mountainside and pine forests with views of snow capped peaks. The observatory is full of history; Hubble himself used to study here. But you don't even need to go to the observatory to take advantage of the spit: pack a picnic and bring it up to the Skyline Park pavilion for a lunch from almost 6,000 feet up.